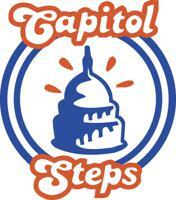 JMCBO is pleased to present the Capitol Steps, the hilarious musical/comedy troupe at JMHS Auditorium March 17, 2019 at 4:00 pm. Join us to support the MadCrew team and to enjoy live performances from their new album "Make America Grin Again" (2018). Click on the image below to secure your seats for the show.